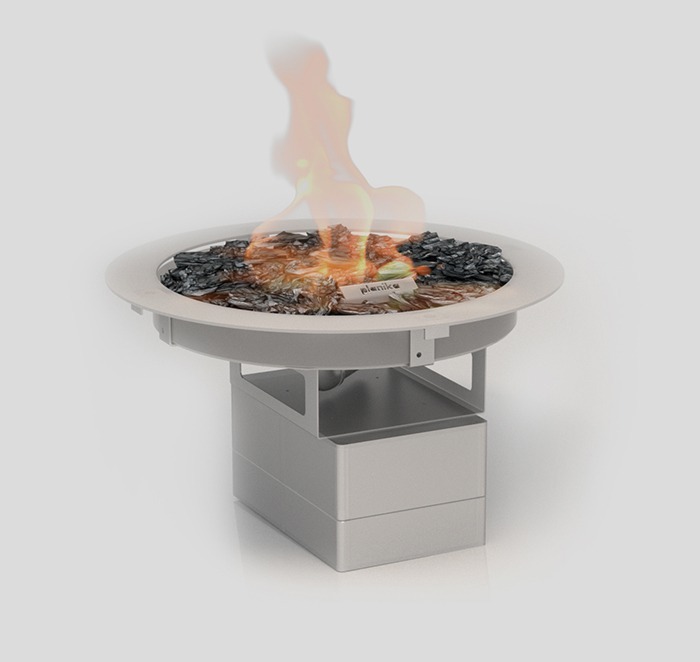 We do not want to limit your imagination and therefore we created Galio Fire Pit Insert. This automatic outdoor gas fireplace ensures endless arrangement possibilities and provides everything you need to make your outdoor space perfect and complete. With the unique fire-pit burner, it creates flames of exceptional look and shape. Also, the external fuel options (Natural Gas or LPG) ensure high performance and natural, golden fire at all times. 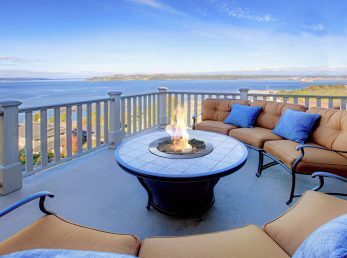 As an gas outdoor fireplace, Galio Fire Pit Insert was designed to endure severe weather conditions. The combination of quality materials, CE-certified components and low operating voltage make the product reliable and completely safe. To increase the comfort of use, Fire Pit has two independent control solutions – an integrated Easy Start panel and convenient handheld remote, both of which allow for easy and intuitive control of the fireplace and the flame. The product also comes with an optional glass cylinder which covers the flame and intensifies its attractiveness even more. everything you need for your outdoor space.